Europe's long sixteenth century--a period spanning the years roughly from the voyages of Columbus in the 1490s to the English Civil War in the 1640s--was an era of power struggles between avaricious and unscrupulous princes, inquisitions and torture chambers, and religious differences of ever more violent fervor. 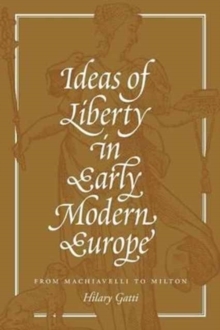 Ideas of Liberty in Early Modern Europe argues that this turbulent age also laid the conceptual foundations of our modern ideas about liberty, justice, and democracy. 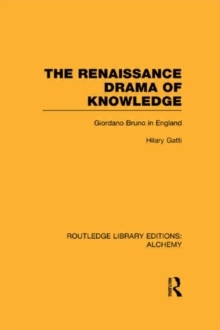 Hilary Gatti shows how these ideas emerged in response to the often-violent entrenchment of monarchical power and the fragmentation of religious authority, against the backdrop of the westward advance of Islam and the discovery of the New World. 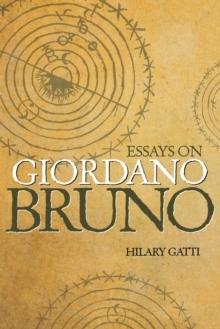 She looks at Machiavelli's defense of republican political liberty, and traces how liberty became intertwined with free will and religious pluralism in the writings of Luther, Erasmus, Jean Bodin, and Giordano Bruno. 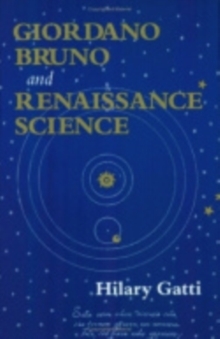 She examines how the St. Bartholomew's Day Massacre and the clash of science and religion gave rise to concepts of liberty as freedom of thought and expression. Returning to Machiavelli and moving on to Jacques Auguste de Thou, Paolo Sarpi, and Milton, Gatti delves into debates about the roles of parliamentary government and a free press in guaranteeing liberties. 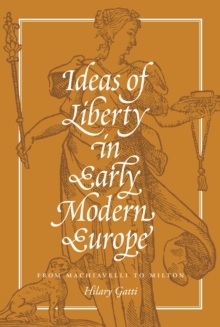 Drawing on a breadth of canonical and lesser-known writings, Ideas of Liberty in Early Modern Europe reveals how an era stricken by war and injustice gave birth to a more enlightened world.